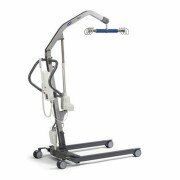 The Hoyer Advance-E is compact, yet able to perform an outstanding range of transfers. 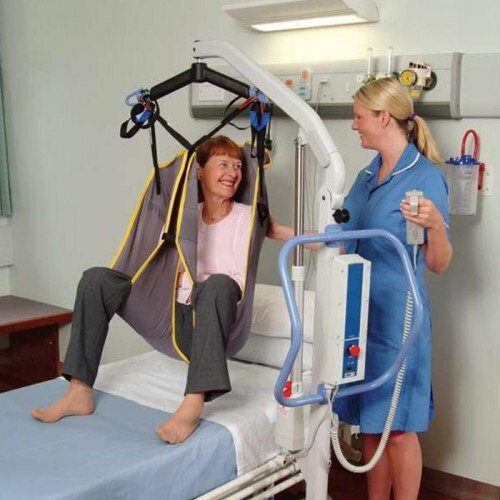 Whether from the floor or onto a healthcare bed, the Advance-E Electric Lift copes with ease. The Advance E's unique tapered leg design allows the lift to get even closer to the widest of obstacles. This is especially useful when encountering large chairs, bulky commodes and wheelchairs. The tapered design also ensures that the resident feels safe and secure during the transfer. 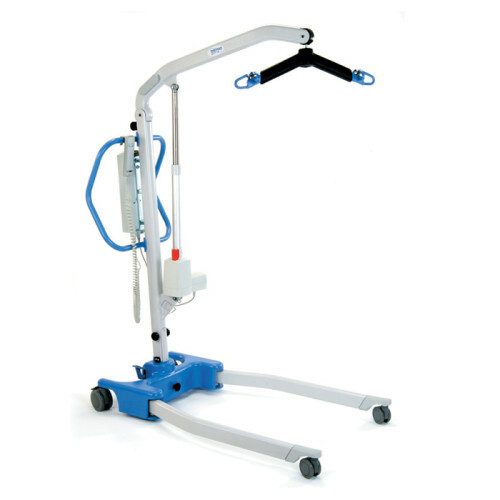 The Advance-E Patient Lift is compact, yet able to perform an outstanding range of transfers. 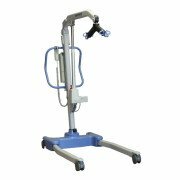 The Advance-E™ Electric Patient Lift is one of the only lifts on the market that has the capability of folding up without tools required, its easy and quick. 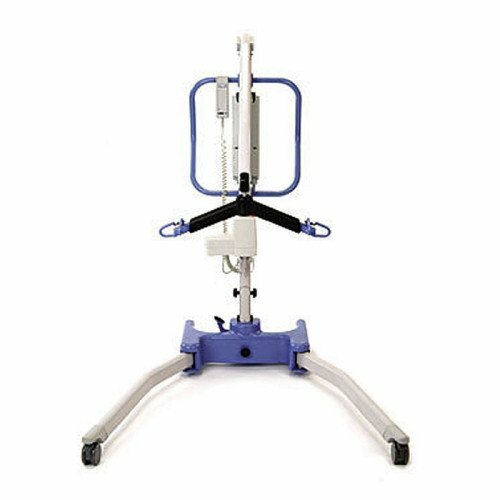 Also the lift is perfect for transfer from vehicle as seen in this video. The sling being used in the video is the Hoyer Quick Fit Deluxe Padded Sling. 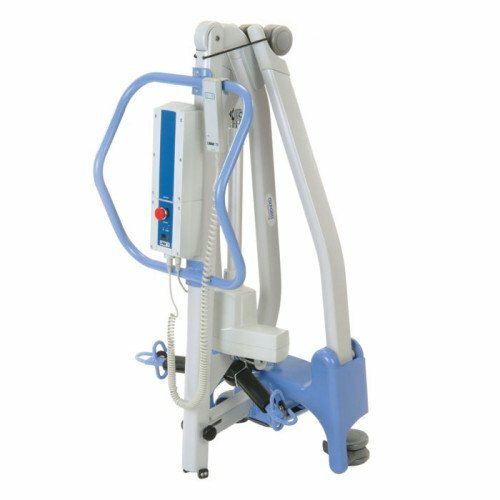 Additionally, the patient lift's 17.7" minimum height allows it to transfer a patient from the floor (like in case of a fall) to the bed or chair with ease. Maximum Overall Length: 51.2 in. Minimum Overall Length: 49.2 in. Maximum Overall Height: 73.2 in. Minimal Overall Height: 53.5 in. Spreader Bar: Maximum Height: 66.5 in. Spreader Bar: Minimum Height (usable): 15.4 in. Height at Maximum Reach: 46.1 in. Reach at Maximum Height: 25.6 in. Reach at Minimum Height: 13.8 in. Legs Open: External Width: 39.4 in. Legs Open: Internal Width: 39.4 in. Legs Closed: External Width: 26.4 in. Legs Closed: Internal Width: 22.4 in. Overall Height of Legs: 4.5 in. Front Twin Casters: 3 in.